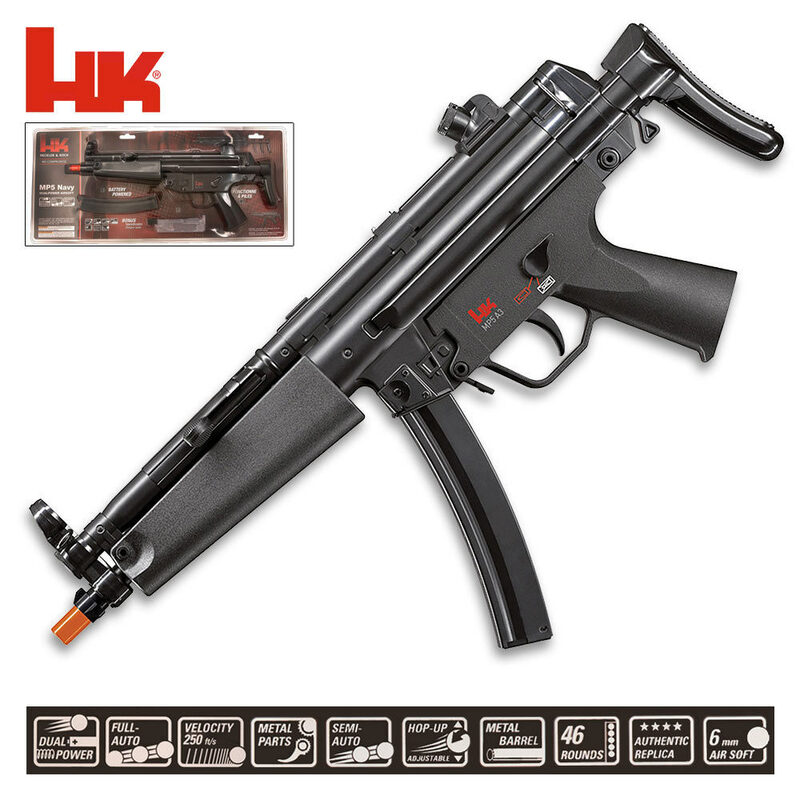 The Heckler and Koch MP5 airsoft rifle is a semi/fully automatic air gun with attitude. This sleek, heavy-duty rifle can be operated with or without the use of batteries, making it a highly versatile air gun in the field. The gun features a collapsible 3-position buttstock, a 46 Rd magazine, and a shot velocity of 250 fps (using .20g BBs). This gun also offers an adjustable rear sight and hop-up and includes a speedloader. Airsoft gunners who are looking for a reliable rifle that will stun battlefield competition should check out this HK. My first time buying an Airsoft gun from TS. Of course, im not surprised that this is a good product. I just participated in an airsoft war with some friends and it took me a while to reload, which is a good thing. Im a novice at airsoft so im not sure what else to say besides this gun is very awesome. Probably one of the best guns I will ever have the honor to own.